If you were hiking this weekend and heard a collective shout of joy somewhere in the vicinity of Snowbird, it might just have been the cheers of hundreds of Jive Communications employees. Jive, a unified communications as a service tech company, held its annual retreat this weekend, and the company’s executives chose that gathering to reveal the company’s new location: the border of Pleasant Grove and Lindon. 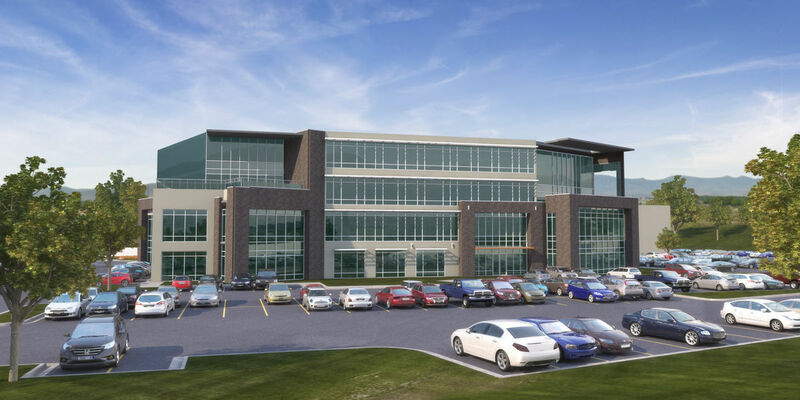 Jive has already broken ground on a four-story, 52,000-square foot building near the OpenEdge office nestled in the northwest corner of the Pleasant Grove Boulevard freeway interchange. The company will use the top floors of the building, with the option to expand. Jive’s Vice President of Human Resources Paul Thatcher explained that the company has been working from multiple locations because of its exponential growth — Jive started with five employees, and currently has about 550 in Utah. “This new building is a cool step for our company. This is something we’ve looked forward to for years. I think the employees are going to be thrilled with the space,” Thatcher said in a phone interview. The company has been in Orem for much of its first decade. Jive executives originally hoped in 2015 to build its headquarters there, but were not able to find a suitable place for its location. Despite those setbacks, and the management of employees spread over the valley, Jive’s marketing communications manager Sterling Snow said employee satisfaction has been very high. In a fast-growing company, that is no easy feat. Snow said once the entire company is under one roof in Pleasant Grove, he expects those scores to go up even further. Other company executives feel it will boost employee morale and help new employees better absorb the company culture. The new building is expected to be finished in May 2018.